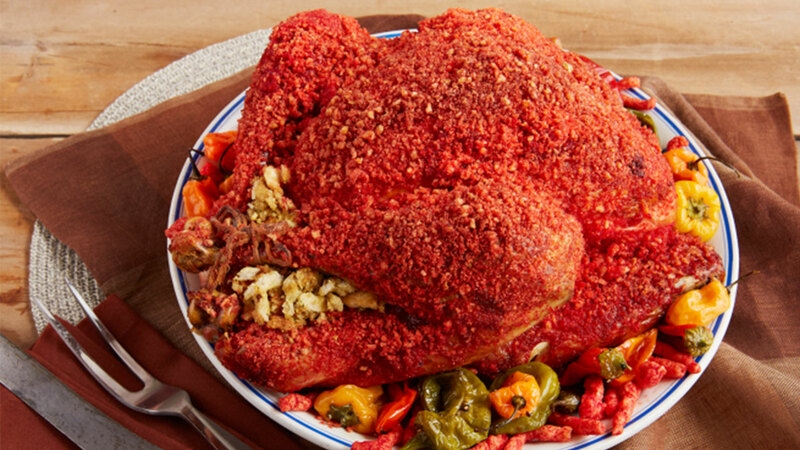 Hot Cheetos lovers can now incorporate their favorite snack into their Thanksgiving dinner. Reynolds Kitchens posted a "Hot Turkey in an Oven Bag" recipe on their website, featuring a roasted turkey with a spicy cheese puff coating. The recipe instructs chefs to crush "hot puffed cheese sticks," spread it all over their holiday bird using butter or oil, wrap it in a Reynolds oven bag and pop it in the oven. The kitchen products company is known for their Reynolds Wrap aluminum foil and Hefty trash bags. They also listed ranch-flavored and onion-flavored turkey recipes for people who prefer a different taste with their turkey.